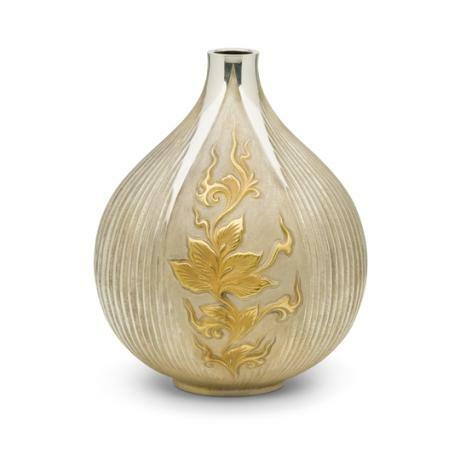 Japanese 20th century pure silver vase with peony and vine design by metal artist, KAWAMURA SEIJI. KAWAMURA SEIJI was born in 1902 in Beppu City. He lived until 1995. 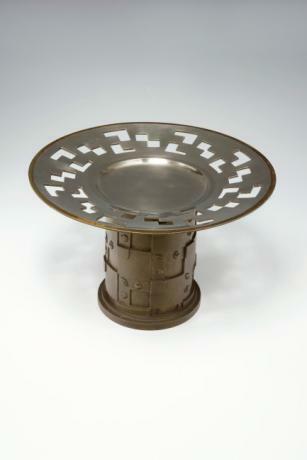 He participated in many exhibitions such as the BUNTEN in 1936. 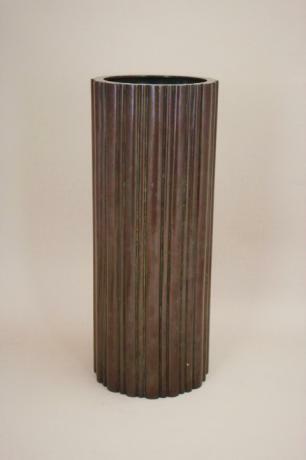 The vase comes with TOMOBAKO, or original artist signed wooden ..
Japanese 20th century black metal flower holder. 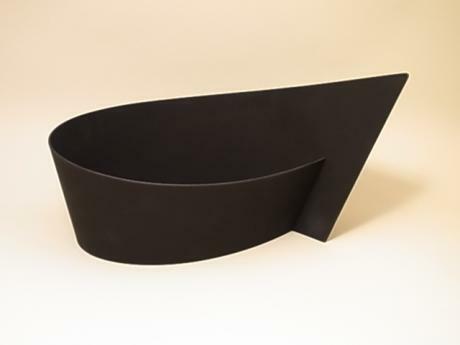 This contemporary designed flower holder was made by Living National Treasure artist, SEKIYA SHIRO. The holder is marked 63,2,3 on the bottom. It measures 14" wide, 8 1/2" deep and 7" tall. 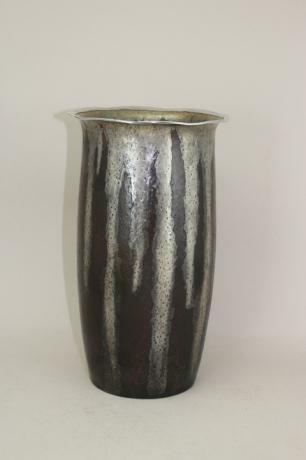 The holder comes with TOMOBAKO or original artist signe..
Japanese mid 20th century (circa 1960) pure silver vase done in a thumb print design. 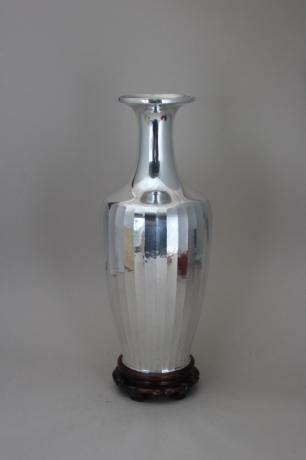 The vase is stamped MITSUKOSHI and JUNGIN, or pure silver made for Mitsukoshi Department Store on the bottom. 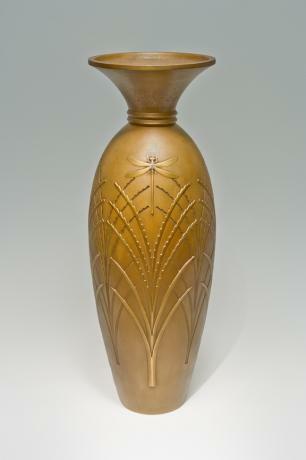 The vase comes with wooden storage box. 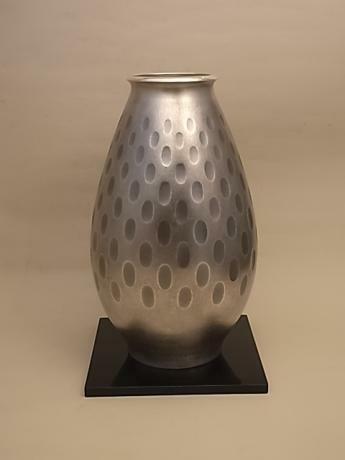 The vase was given as a commemorative gift on April 4, 1960..
Japanese early-mid 20th century pure silver vase with hand-hammered design by metal artist, CHINO REIMEI. 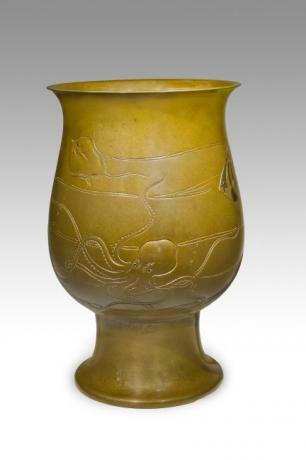 This vase was made for MIYAMOTO SHOKO, a high end gift store in the Ginza district of Tokyo, Japan. 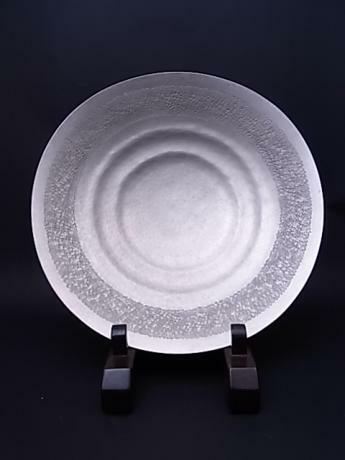 MIYAMOTO SHOKO was established in 1880, specializing in silverware. In 1899 they were appoin..